Added comments to the default settings file to describe how to use each setting. 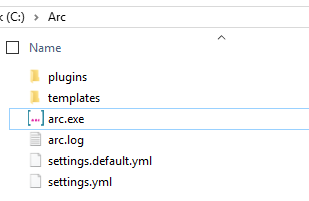 If you have an existing settings file refer to settings.default.yml which will be updated for each release. One of the enhancements is related to how the settings.yml is updated. You should continue to update the settings.yml file. There will also be a second file called settings.default.yml, this is just a sample file with comments for all of the settings. The name is a little confusing and will be changed to settings.sample.yml in the next release.